When you resolve a Fear effect that affects an Invader Action (such as "Defend 2 in all lands"), place it atop the affected Invader Card so you don't forget to apply it. Every board has exactly two lands of each terrain. Knowing this can make it easier to search out all lands of a particular terrain. When resolving Invader Actions, be clear about which player is handling what, so you don't accidentally double Explore, Build, or Ravage. Some groups have each player manage the Invader Actions on their starting board. This can help new players understand how the Invaders act. During Setup, once you've put Blight on the Blight Card and the island, return the rest of the Blight to the box. This prevents accidentally taking Blight from/returning Blight to the wrong place! It's easy to access the box a single time when the island becomes Blighted. When coordinating with your fellow Spirits, trying to remember every detail of what every player is doing is a recipe for overload. It can be much more fruitful to focus on objectives, diving into details only when necessary. Some players enjoy the game with a very analytical and carefully planned style, while others prefer very fast-and-loose good enough!" play. The game works either way (or anywhere between) but both extremes at the same table can cause frustration. Try to make sure everyone is on the same page regarding time taken. You suddenly realize that for the past 4 turns you've been using a Power Card on lands it can't actually target. What to do? The answer is: don't sweat it. Especially on your first play or two, you'll likely make minor mistakes here and there. They're unlikely to break anything: the game will just be slightly easier/harder. So long as everyone's having fun it's all good, there's no need to try and 'rewind' and fix things. Just take note of what the correct rule is, and use it going forward. There will be a strong temptation to run the Invaders for the whole game, since you know how they act. Instead, talk the new players through doing it themselves. This helps them internalize how the Invaders spread, which is critical to learning effective play. Make sure the new player uses a low-complexity spirit with a Power Progression Really. Feel under no obligation to read or use these - refer to them if you're feeling lost in you first games. Destroy or move Explorers before they Build to keep Invaders from spreading. Destroy Invaders before they Ravage to keep them from harming the land and the Dahan. Once Invaders Explore into a particular terrain, you know they II Build there next turn, and Ravage there the turn after that. That predictability is useful when planning how to use Slow Powers. Where Should I Put My Presence/sacred Sites? Put your Presence close enough to the Invaders that you can use all your Powers on them. Avoid lands where Invaders are about to Ravage and add Blight. It will destroy your Presence. Spread your Presence out across the island so you can collaborate with other players. Three "1 Damage Powers can destroy a City! Many Damaging Powers and beneficial Fear effects require Sacred Sites, so put them close to the Invaders. Where Should I Move The Dahan? Into lands with a few Invaders. 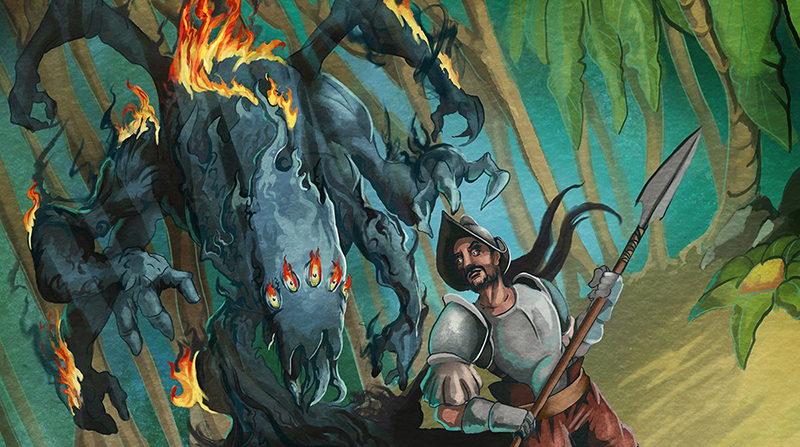 Many Fear effects will scare off Invaders from lands with Dahan, or inspire the Dahan to take the offensive. If Invaders are about to Ravage there, surviving Dahan will fight back. Out of lands with many Invaders. If the Dahan will be wiped out when the Invaders Ravage, save them by getting them out of harm's way! Blight spreads quickly once it starts cascading, Try to clea up lands before a second Blight is added. That you are winning! If you have the Invaders on the ropes, focus on achieving victory! That your Presence/Sacred Sites aren't close to the parts of the board you want to affect. Focus on getting Presence and Sacred Sites in places where your Powers will be able to reach the Invaders. If you are feeling constantly low on Energy, try placing more Presence from your Energy Track, not using all of your Power Card plays, choosing less expensive Power Cards, or taking an Energy-granting Growth option for a turn or two. Major Powers require a lot of Energy to play, and require Forgetting one of your existing Power Cards when you gain them. You will usually want to take Minor Powers for your first pick or two.